Self seeking satellite dish domes. 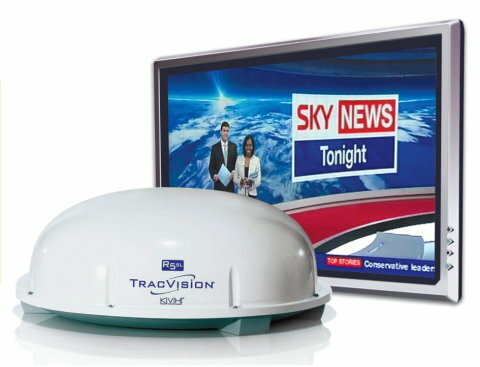 TracVision R4 domes. 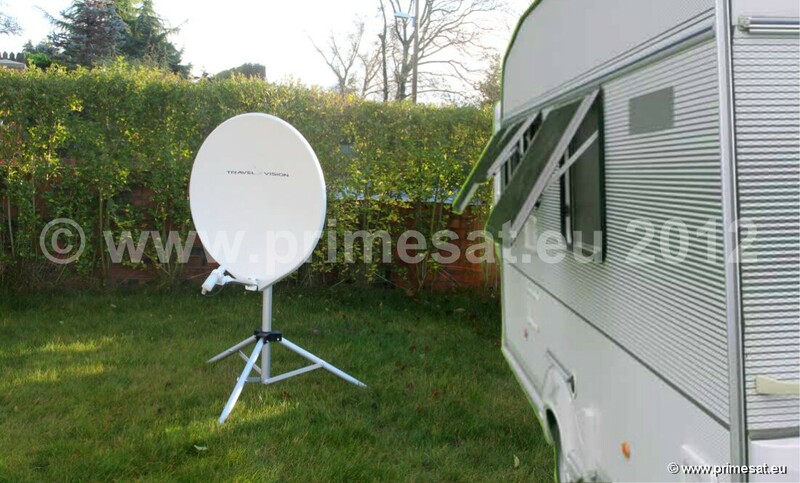 Caravan motorhome mobile automatic satellite dishes. R5. 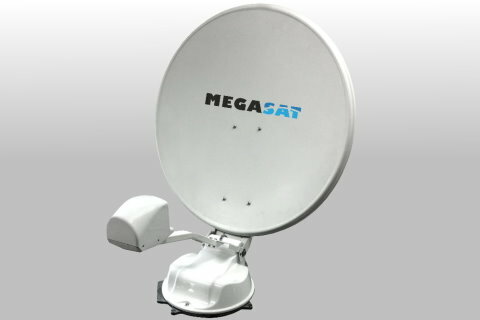 Megasat. Automatic self seeking domes & folding dishes. TracVision R4 self-seeking dome R4SLS (single LNB) R4T (twin LNB). 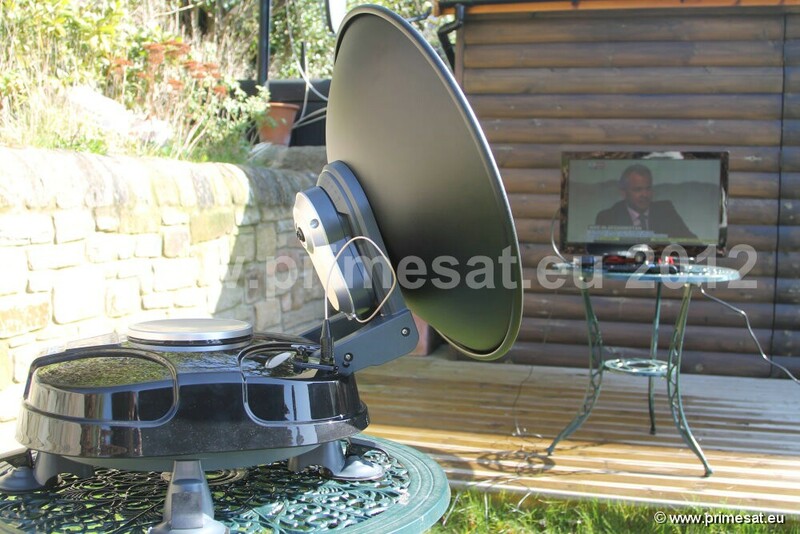 Automatically finds the satellite while stationary This is the si (slimline) version.The R4sl (slimline) is equivalent to a good 60cm dish. Tested from northern Scotland tosouthern France. Works on all channels on Astra 2 without problems. (A small number ofchannels may not work all of the time in some parts of southern France from Astra 2. )The largest highest gain dome available. See satellite footprints below. Height only 300mmTracVision are a market leader for build quality and design. Check-out the yachts in Monaco harbour -many will by using TracVision domes. This is a world wide company with head offices in the States.It is the premium dome available anywhere in the world. Your RV or motorhomedeserves a TracVision dome. This dome is renowned for it's reliability.The dome is flexible. If hit by an object, it flexes and this helps prevent breaking.LNB cable for control) it stays on satellite. This is important when using it stationary ona site. The control panel is simple - only on and off! With other domes, to change satelliteyou first have to select the satellite on the control panel, then select the satellitewith the satellite receiver. The TracVision only needs selection using the satellite receiverhandset only. It does the rest for you. Attention to detail - most domes when you take offthe dome lid, all the nuts fall off the bottom. The TracVision uses captive nuts soeverything is easy. Some domes have a reputation for poor reliability, The TracVisionis extremely reliable. Most domes are equivalent to a 40cm dish. These domes losethe signal in bad weather and are a problem in fringe areas. 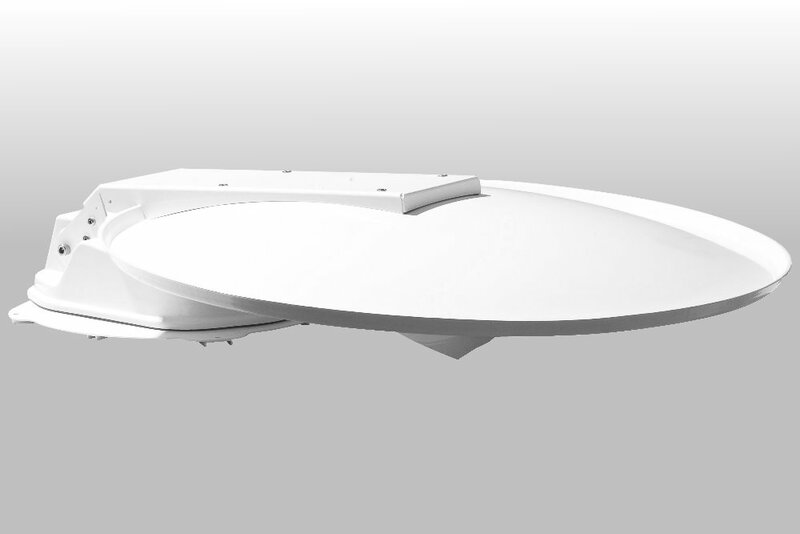 The Tracvision isequivalent to a good 60cm dish and provides all-weather capability and a wider rangeof reception areas. It achieves this by being bigger, but the increased size is notheight but a larger footprint (circle - 81cm) on the motorhome's roof. There is usually plentyof room on the roof anyway so no problem here. This is the ultimate dome available andyet it is competitively priced. At last you can afford the best - a TracVision!You can add a motor later and upgrade it to a full R5 tracking dome.Also ideal for trucks. 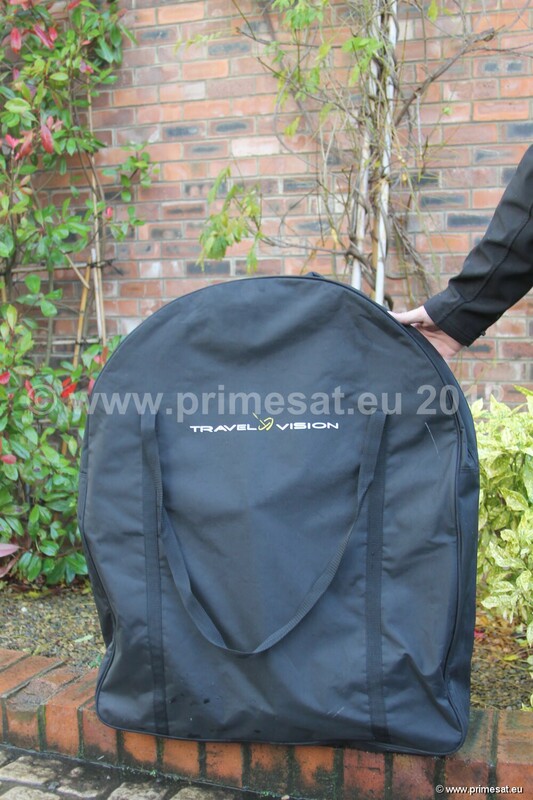 Watch satellite TV in the rear cab during overnight stops.Ideal for Sky, freesat and HDTV.A twin LNB version is also available � The TracVision self-seeking dome R4 twin. The twin version is 380mm high. 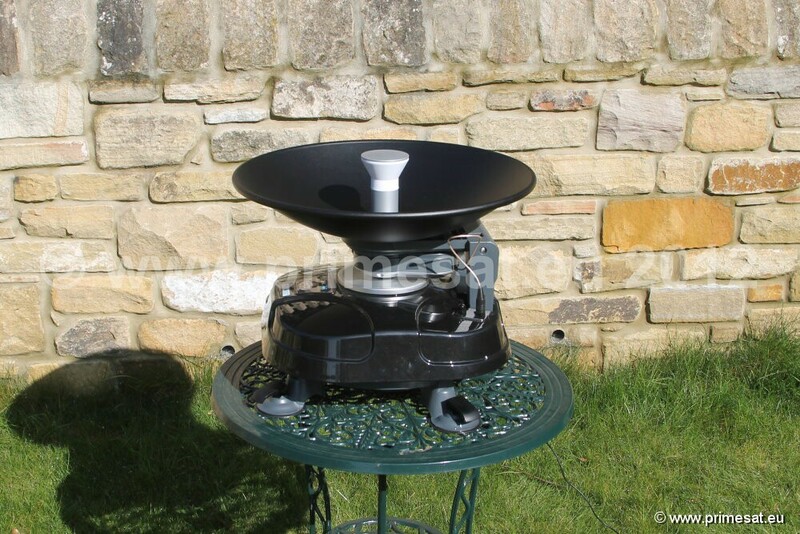 TracVision R5 tracking dome R5SLS (single LNB) R5T (twin LNB). 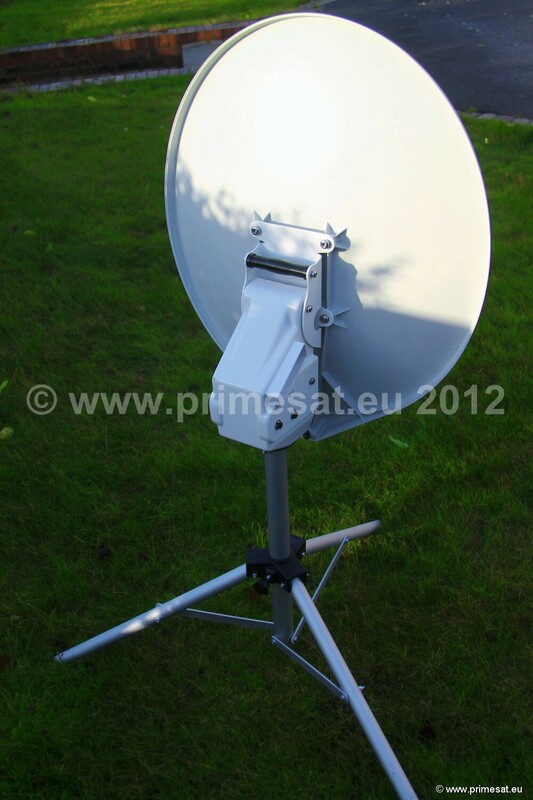 The R5sl (slimline) is equivalent to a good 60/65cm dish. Tested from northern Scotland tosouthern France. Works on all channels on Astra 2 without problems. (A small number of channels may notwork all of the time in some parts of southern France from Astra 2 - depending on the weather. )The largest highest gain tracking dome available. See satellite footprints below. Height only 300mmTracVision are a market leader for build quality and design. Check-out the yachts in Monaco harbour - manywill by using TracVision domes. This is a world wide company with head offices in the States. It is thepremium dome available anywhere in the world. 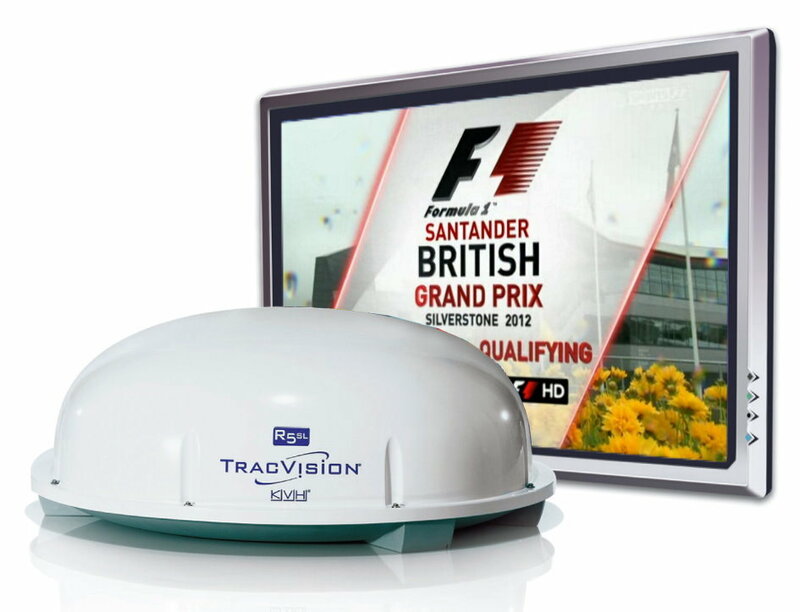 Your RV or motorhome deserves a TracVision dome.This dome is renowned for it's reliability. The dome is flexible. If hit by an object, it flexes and thishelps prevent breaking. It uses a separate control cable. That means when powered down (unlike domes that usethe LNB cable for control) it stays on satellite. This is important when using it stationary on a site. Thecontrol panel is simple - only on and off! With other domes, to change satellite you first have to selectthe satellite on the control panel, then select the satellite with the satellite receiver. The TracVisiononly needs selection using the satellite receiver handset only. It does the rest for you. Attention todetail - most domes when you take off the dome lid, all the nuts fall off the bottom. The TracVision usescaptive nuts so everything is easy. 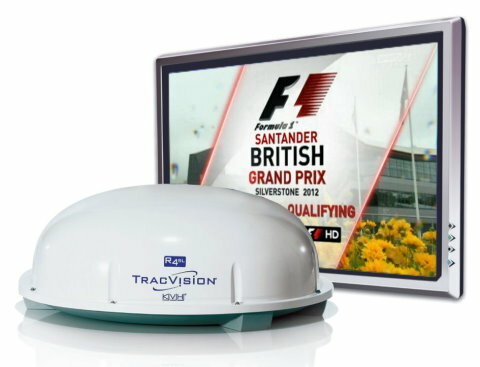 Some domes have a reputation for poor reliability, The TracVisionis extremely reliable. Most domes are equivalent to a 40cm dish. These domes lose the signal in badweather and are a problem in fringe areas. The Tracvision is equivalent to a good 60/65cm dish andprovides all-weather capability and a wider range of reception areas. It achieves this by being bigger,but the increased size is not height but a larger footprint (circle - 81cm) on the motorhome's roof.There is usually plenty of room on the roof anyway so no problem here. This is the ultimate domeavailable and yet it is competitively priced. At last you can afford the best - a TracVision!While driving an RV or motorhome, the rest of the family can sit in the back and watch satellite TV onthe move. Also ideal for coaches - passengers can watch satellite TV. Although watching while drivingwould be extremely dangerous and illegal, listing to (e.g.) 24 hour news channels and other interestingprograms could be very welcome. 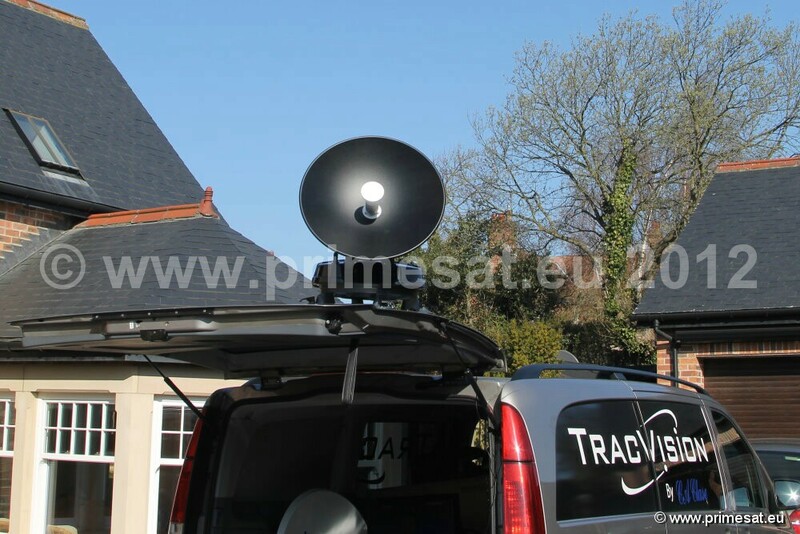 Simply wire the satellite receiver into the vehicles sound system.Ideal for Sky, freesat and HDTV.A twin LNB version is also available � The TracVision self-seeking dome R5 twin. The twin version is 380mm high. 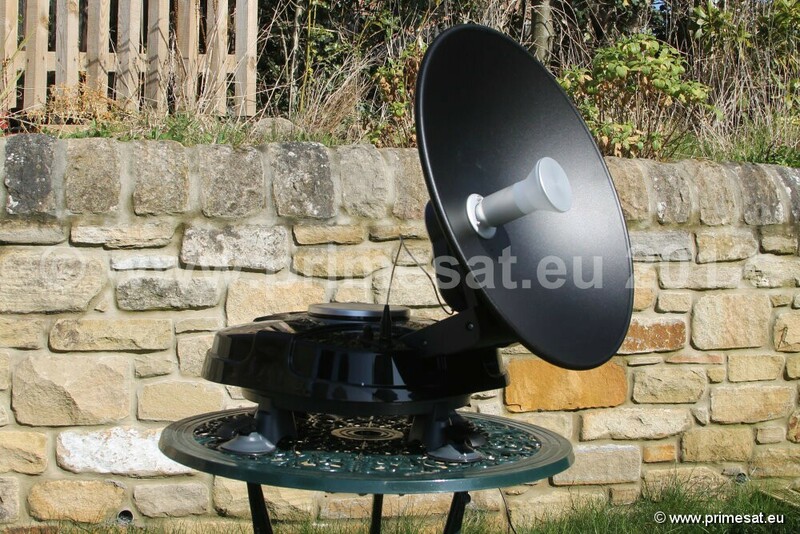 Megasat Satmaster fully auto self-seeking folding satellite dish MEGSAT. Base - 46cm by 41cm. folded height 46cm. Dish diameter 46cm weight 7Kg. Gain 33dB. Search time 1-2 minutes.12 volts DC, 24 volts DC or 230 volts AC. Manual, cables and carry bag included. We tested this unit in Northern England (Newcastle) and it worked perfectly on Astra 2.After switching on, it found the satellite in about 1 minute. In the north the signal islower than in the south so this unit is fine for all of England. 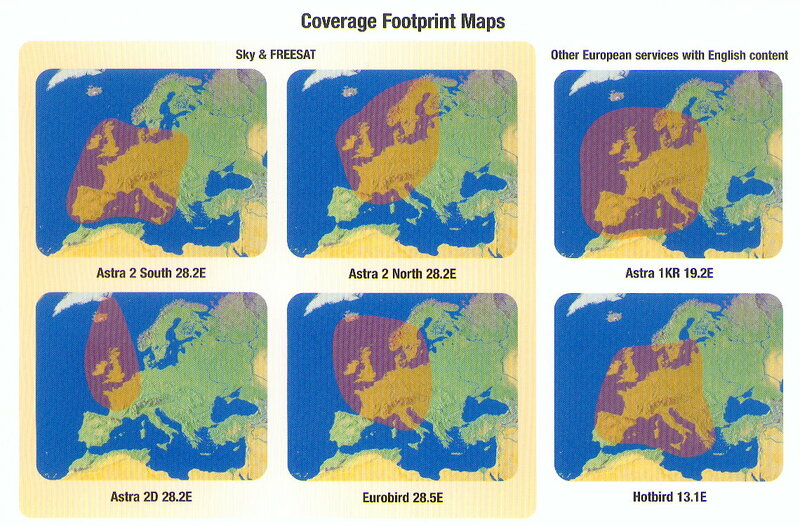 The manufacturer's footprintmaps show the unit working on all channels from the north of Scotland to (almost) the southof France. On the Mediterranean coast in the south of France you may lose a few channels.This unit can by put through the roof window (if large enough) onto the roof of a caravanor motorhome. A very common position to deploy it is on a table in the awning pointing throughan opening in the side or front of the awning. The suction feet have jacks so that it isheld very firmly on a smooth surface. 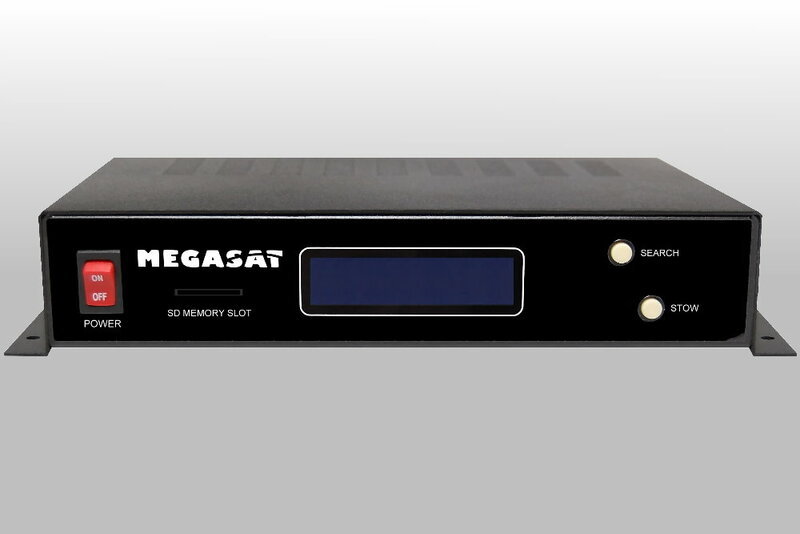 The Megasat 85cm is the ideal companion for all who enjoy the best in Europe radio and television quality. 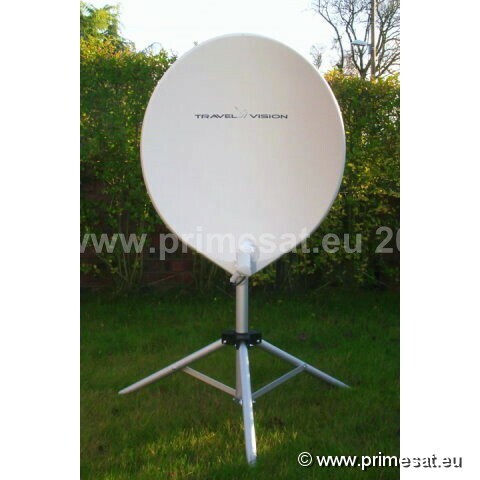 The 85 cm reflector is ideal for low reception weak signal conditions, even in weak signal. Another advantage is the low height of only 19cm when folded. This allows installation on high vehicles with minimal effect on theheadroom. Controller included, the touch of a button quickly finds the selected satellite and it is all fully automatic. This is a fully automatic satellite dish on a tripod. First select the satellite you want to find on the control panel,e.g. 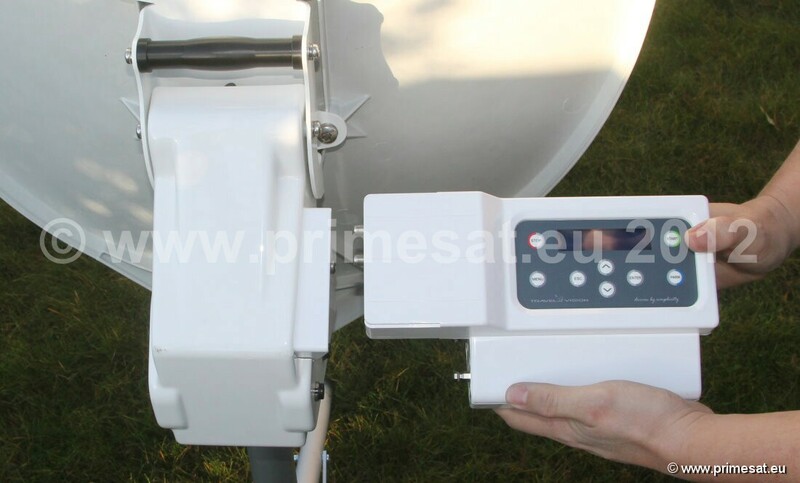 Astra 2 for freesat or Sky TV and the dish will automatically turn, adjust and find the satellite.Once the satellite is found, the control panel can be unplugged and put away for safe keeping (in your car,caravan or motorhome). 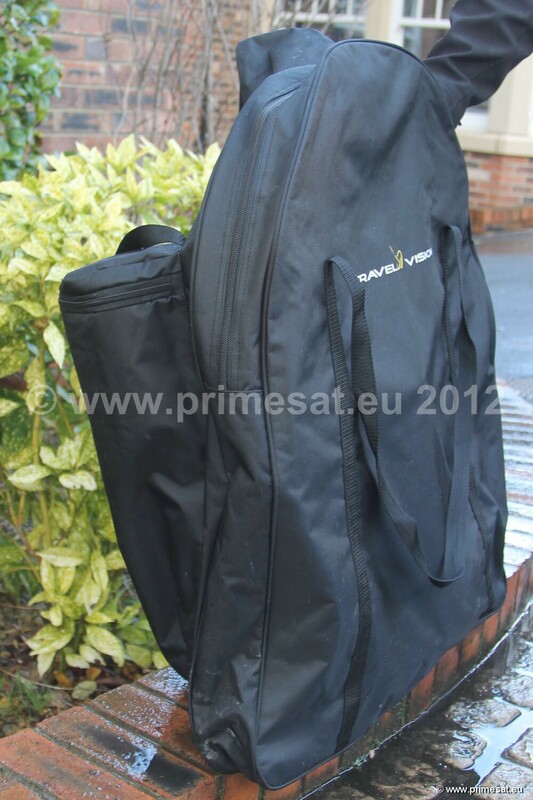 This is a very fast way of having satellite TV with full automation and ease of use.The dish unit, control panel and tripod all pack away into a strong canvas bag for easy transport.14 pre-programmed satellites. Weight 8.5Kg, Software upgradable by USB Power adapter 240v to 24VSee the movie on the Travel Vision in the video demo below.